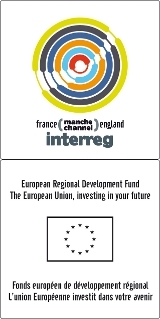 CAMIS (Channel Arc Manche Integrated Strategy) is a Franco-British cooperation project, partly funded by the Interreg IVA France (Channel) - England programme. The aim was to Idevelop an integrated maritime strategy for the Channel area as well as a range of tools to promote Franco-British cooperation in governance, the maritime economy, transport, maritime safety and knowledge of the Channel area. Over a period of four years (October 2009 - December 2013), CAMIS brought together 19 French and British partner organisations, while involving hundreds of stakeholders in the Channel area in its work. The overall coordination and management of the project was provided by the Upper Normandy region. By contributing to the development of the territorial co-operation and governance in the Channel area, the CAMIS project has implemented the major objectives pursued by the Arc Manche. It followed on from the EMDI (Espace Manche Development Initiative) project, which, between 2004 and 2008, enabled the Channel area to be acknowledged as a relevant area for co-operation at European level and showcased the possibility for the Channel area to be positioned as a maritime basin for experimenting the Integrated Maritime Policy promoted by the European Commission.